Franco Moscetti is a Senior Advisor to CapM. 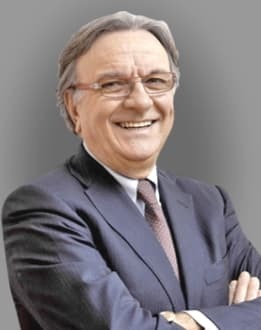 Franco Moscetti serves as Chief Executive Officer of Il Sole 24 Ore and of Axel Glocal Business. Mr. Moscetti previously served as CEO and General Manager of Amplifon S.p.A, a global leader in the retail and fitting of hearing aids systems and related services. He led the business to a leadership position in new international markets and developed the company's international brand presence. Prior to joining Amplifon S.p.A. Mr. Moscetti held managerial and leadership positions in leading companies, both in Italy and abroad, within Air Liquide SA, the French Group world leader in industrial and medical gases. 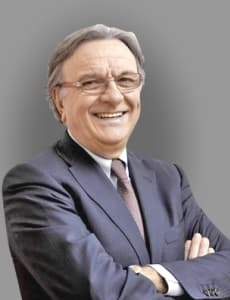 He started his career as a salesman at SIO SpA in Rome and eventually became CEO of Vitalaire S.p.A. a company specialized in home care services, CEO of Air Liquide Health and CEO of Air Liquide Italy. He served abroad in positions such as CEO of Air Liquide Santé France and as a Director of Healthcare at Air Liquide. Mr. Moscetti's previous experience, and his focus on M&A transactions, allows him to offer a truly global perspective to finding solutions for complex business challenges.